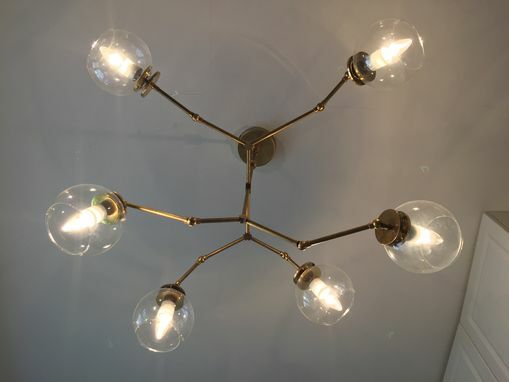 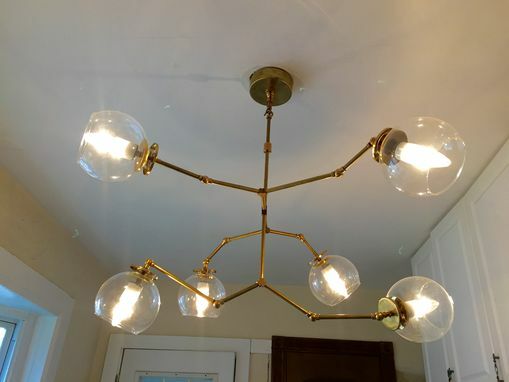 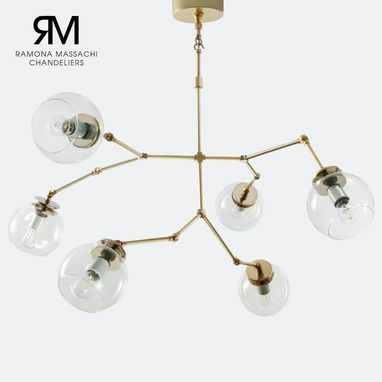 This chandelier has six clear modern glass globes, with movable arms. 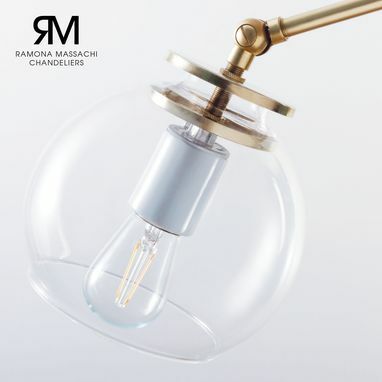 Designed to enhance your creative outlet, by allowing you to create the flow of light required for your room's unique features. 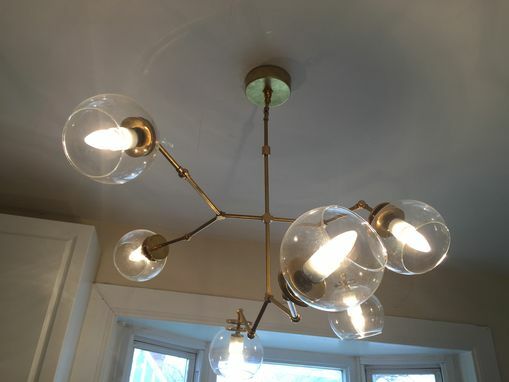 Original Brass Metal Finish and Clear or Champagne Glass comes with no additional cost.